Before I get into this, I want to clarify a few things. First, I am not trying to tell you what your job description should be. Second, I am not trying to tell your company (or any other) how they should write their job descriptions or how to run their business. Third, job descriptions are created by and belong to the company. Fourth, the information in this article is not intended to be the last and only definitive word on the subject of job descriptions, it's not. It is simply my thoughts on the subject. There are hundreds of companies, each of which has it's own method of doing things. Some of these companies have more than one engineering office; some may have as many as twenty. Within each of those companies there may be as few as ten pipers or as many as a thousand total pipers. Every company has job descriptions. Most companies, in fact, will have two types of job descriptions. I do not know if all engineering companies (that do piping) use the two job-description approach, but most of the time there is a big difference between what they call you and what assign you to do. Normally the first job description is purely for the purpose of employment and pay scale. The second job description is functional. It is specific to a job assignment. This is what you actually do and may change from time to time without a change of pay. This is not unlike the military; they have rank and they have assignments. They will have someone with the rank of Sargent who is assigned as a Crew Chief on a helicopter, a Sargent who is a chief cook in the mess hall or a Sargent who is in charge of truck repairs in the motor pool. Your engineering company may use this same idea and have a 'rank' of 'Senior Designer', who is assigned to plant layout, or as a checker or as a field engineer. People who say that all job descriptions should be only this or only that are taking a very narrow view of the subject. As stated before, job descriptions, be it pay scale or functional, are the prerogative of each individual company. It helps each of us to know what a specific company uses when we are applying for a job at that company. It is also very important to fit in to the company's job descriptions once we get the job. For piping managers and supervisors it helps to know both the pay scale and functional job descriptions used at other companies. This can be critical when they hire an employee from another company. The table below displays my concept of 'Pay Scale' job descriptions and 'Functional' job assignments for piping designers. I know, not everyone will agree with this. That's okay, it's only a concept. As stated this table defines only the job descriptions for the piping designer positions. A total project will have other piping department or piping related functions as well as other engineering disciplines such as Civil, Structural, Mechanical, Vessels, Electrical, etc. The other piping related positions are portrayed in the following organization chart. The explanation for only the positions shown in the solid line boxes is listed below. Responsible for the entire piping group functions for assigned project(s). Provides supervisory and technical management for piping personnel. *Responsible for coaching, teaching, and effective supervision of assigned personnel. *Develops plans for the project execution. Determines Project Piping Engineering organization. *Initiates the piping department section of the scope of work and services. *Initiates and compiles estimates for Piping Engineering labor hours, computer charges and field/shop trips. Reviews estimate with Piping Engineering Management for approval and submission to Project. *Develops and maintains the Piping Engineering Work Plan. Establish need dates for assignment of all personnel. *Initiates and approves the development of project specific piping standards and specifications. *Initiates discipline document distribution list for the project. *Attends kick-off, Project staff, Client, Construction, Supplier, Flow Diagram reviews or other meetings as required. *Maintains contact with Client and other discipline Engineering Leads to assure accurate, timely communications and flow of information is taking place. *Responsible for the piping engineering section of the Project Procedure Manual. *Identifies deviations in job scope, estimates magnitude of changes, and initiates deviation notice. *Monitors and controls project budget/schedule including labor, trends, change orders, and progress. *Initiates and presents piping engineering's recommendations for materials inspection, identification, certification and expediting to Project. *Monitors, controls, schedules and reports pipe shop fabrication and delivery (when applicable). *Reports discipline progress to project and discipline management on predetermined intervals. *Initiates and monitors quality control checking. *Responsible for issuing piping design documents and drawings. *Coordinates field construction inquires for resolutions. *Initiates and assures completion of the piping engineering project completion report. Supervises, assigns, and schedules work, usually for a major project or several minor projects, simultaneously, under general direction of the Project Piping Engineering Lead(s). May supervise specialized technical subgroups. *Responsible for coaching, teaching, and effective supervision of assigned piping design personnel. *Responsible for developing piping design estimates, schedules and staffing requirements. *Responsible for developing piping design administrative and technical practices, specifications, and procedures. *Responsible for Plot Plan development and maintenance. *Assures that design continuity is maintained throughout the entire project. *Reports to the project Piping Engineering Lead the status of piping design activities. *Ensures communication flow, both verbal and written, is maintained within piping engineering and with other design and engineering disciplines. *Coordinates piping design activities with other design and engineering groups. *Identifies deviations in job scope, estimates magnitude of changes, and initiates deviation notices. *Monitors and controls budget, schedule labor hours, costs, deviation notices, and progress. *Prepares and distributes design instructions pertaining to plant design requirements and drafting procedures. *Represents piping design in meetings with suppliers, subcontractors, licensors, clients, and other Company disciplines, and produces documentation required for conference or meeting notes. *Submits Piping Design standards, specifications, drawings and isometrics to Project Piping Engineering Lead for issue. *Distributes shop fabricator and field construction inquiries for resolution. *Assists in the development of the piping engineering project completion report. Supervises, assigns, and schedules the piping design activities for a specific Area/Unit. Normally reports the Lead Piping Design Supervisor and may supervise five to ten designers or detailers. *Responsible for developing piping design estimates, control level schedules and, staffing needs for the assigned area. *Reports to the Project Piping Lead Design Supervisor status of Area/Unit piping design activities. *Initiates the development of all required discipline deliverables for the assigned area. *Monitors and controls budget/schedule including labor hours, deviations, and progress. *Receives and distributes design instructions pertaining to plant design requirements and procedures. *Represents Area/Unit piping design in meetings with suppliers, subcontractors, licensors, clients, and other Company disciplines, and produces documentation required for conference or meeting notes. *Reviews and approves Area/Unit piping design drawings and isometrics. *Submits Area/Unit piping design drawings and isometrics to lead design supervisor for issue. *Monitors quality control for assigned area. *Researches Shop Fabricator and Field Construction inquiries and drafts responses. Under the direct supervision of the Project Lead Piping Design Supervisor and/or Area/Unit Design Supervisor, develops and checks system design CAD files or drawings in conformance with project specifications, scope of work, design parameters, codes, and industry practices. Work assignments should be made based on the training and experience of the designer weighed against the complexity and critically of the equipment and piping. *Review project specifications, administrative and technical practices, design instructions, plot plan, flow diagrams, and supplier information. *Performs manual/computer layouts using specifications, standard drawings, design instructions, plot plan, flow diagrams, line list and supplier information. *Draw and update material and stress sketches. *Communicates and interfaces with other project design and engineering disciplines. *Complete manual/computer drawings and isometrics. *Check, back check, and correct manual/computer drawings and isometrics. *Check other departments' design drawings and supplier equipment drawings. *Reports progress to the project piping area/unit supervisor. *On assignment to the field, supports construction in drawing and specification interpretations, design modifications, scheduling, and system checkout and testing. Supervises, assigns, and schedules work, for a major project or several minor projects simultaneously under general direction of the Project Piping Engineering Lead (PEL). *Provides direct supervision for the personnel assigned to them. *Responsible for developing estimates, schedules, and staffing. *Responsible for developing piping material specifications and procedures. *Reports to the project Piping Engineering Lead regarding status of material engineering. *Ensures communication flow, both verbal and written, is maintained within piping engineering and with other design, engineering, and purchasing disciplines. *Coordinates material engineering activities with other design, engineering, and purchasing disciplines. *Identifies deviations in job scope, estimates magnitude of changes, and initiates trends or change orders. *Monitors and controls budget/schedule including laborhours, costs, trends, change orders and progress. *Represents material engineering in meetings with suppliers, subcontractors, licensors, clients, and other Company disciplines, and produces documentation required for conference or meeting notes. *Submits material engineering Specifications and Line List to Project Piping Engineering Lead for issue. *Reviews and approves bidders list. *Develops and submits recommendations for materials inspection, identification, certification and expediting to the project Piping Engineering Lead. Develops and checks specification, line list, and line numbers flow diagrams in conformance with project requirements, design parameters, codes, and industry practices. Normally reports to the Project Lead Piping Material Engineer. *Develop material, insulation and coatings specifications. *Review flow diagrams for internal cleaning requirements. *Assign line numbers and line class specifications to flow diagrams. *Identify and list special piping components. *Develop the piping material dimensional data book. *Assist in development of the Request for Quotation packages. *Review bid tabulations and substitutions for technical acceptability. *Develops piping pressure test data and test system packages. Supervises, assigns, and schedules work for a major project or several minor projects simultaneously, under general direction of the Project Piping Engineering Lead (PEL). *Reports to the project Piping Engineering Lead regarding status of material control. *Responsible for material requirements identification and initiation of procurement activities. *Ensures communication flow, both verbal and written, is maintained within piping engineering and with other design, engineering, and procurement disciplines. *Ensures utilization of approved material control practices and guidelines in performing the work. *Coordinates material control activities with other design, engineering, and procurement disciplines. *Prepares piping logistics plan for the project. *Monitors and control budget/schedule including laborhours, costs, deviation notices, and progress. *Represents material control in meetings with suppliers, subcontractors, licensors, clients, and other Company disciplines, and produces documentation required for conference or meeting notes. *Submits bills of material, bills of material/field material requisitions, and material summary to the project Piping Engineering Lead for issue. *Monitors material receivers from jobsite and shop fabricator. *Initiates and monitors quality control procedures for assigned work. Responsible for material control including take-offs, procurement support and expediting in conformance with project requirements, design parameters, codes and industry practices, under the direction of the Project Lead Piping Material Controller. *Review flow diagrams, plot plans, transpositions, and miscellaneous piping details to maintain and update material take-offs (MTO). *Make valve take-off from flow diagrams. *Make preliminary MTO and input to the computer using flow diagrams, transpositions, miscellaneous piping details and material sketches from piping design. *Assists in developing request for quote packages, both shop and field material. *Make intermediate MTO and input to the computer for purchasing. *Assist in review of bid summaries. *Assist in expediting and statusing materials. *Make final MTO and prepare piping bills of materials. *Provide input to resolve field material inquiries. Supervises, assigns and schedules work, for a major project or several minor projects simultaneously, under general direction of the Project Piping Engineering Lead (PEL). *Responsible for developing piping stress engineering specifications *Determines the level and need for analysis of all lines on the project. *Reports to the project Piping Engineering Lead status of stress engineering. *Coordinates stress engineering activities with other design, engineering, and purchasing disciplines. *Submits all pipe stress engineering specifications and other project related documents to the Piping Engineering Lead for issue. *Monitors and controls budget/schedule including laborhours, costs, deviation notices and progress. *Represents stress engineering in meetings with suppliers, subcontractors, clients, and other disciplines, and produces documentation required for conference or meeting notes. *Submits analyzed stress sketches to piping design for implementation. *Reviews quotation summaries for stress related components. *Resolves field construction stress related inquiries. *Maintains complete and auditable calculation files for all systems reviewed or analyzed. *Works with the lead design supervisor to identify pre-engineered support requirements. *Identifies inline flexibility element and expansion joint requirements. *Ensures that quality control procedures are enforced for assigned work. Responsible for stress analysis of piping systems in conformance with project requirements, design parameters, codes and industry practices under the direction of the Project Lead Piping Stress Engineer. *Develops piping flexibility, support element, expansion joint and shock arrestor specifications. *Performs visual, manual, and computer analysis of piping systems. *Compiles calculation packages for each system analyzed. *Reviews request for quotation and purchase requests for cost and technical completeness for stress related components. *Assists in resolving field construction inquiries. Under the direction of the Lead Piping Design Supervisor is responsible for coordination and management of all piping CAD related issues, conventions, practices, and file maintenance. Coordinates project related CAD issues with the Project CAD Coordinator, other project discipline CAD Coordinators, the Piping department CAD Coordinator, and/or the CIE department. *Interface with the project CAD coordinator to determine best methods of xref/attachment and layer conventions. *In concert with project and other discipline CAD coordinators, determines requirements for sequence of data production and sharing of databases. *Establish project specific CAD related E-mail mailing list to communicate all CAD related issues. *Responsible for distributing approved piping related CAD symbology and communication. *Monitor all piping related CAD standards and conventions. *Establish and tracks all drawing blocks, x-refs, and cell libraries. *Maintain piping related network space, directory structures, and CAD files. Implements project specific naming convention. *Interface with company CAD department on piping related hardware/software problems, concerns, and requests. 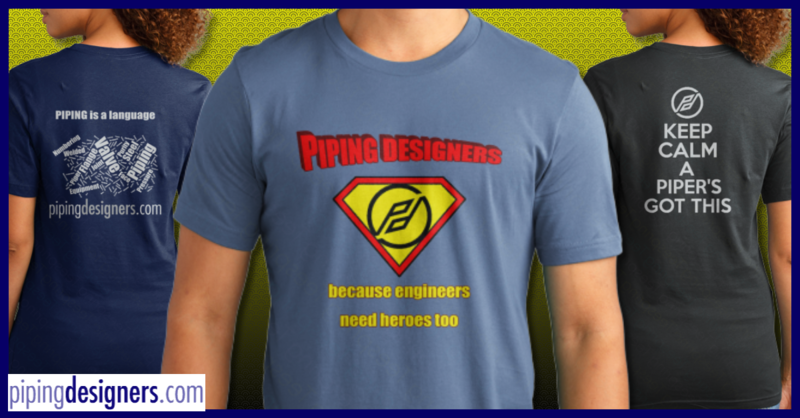 *Provide training and CAD support to piping designers. *Prepare and/or gather and distribute approved CAD related written materials, manuals, procedures, and CAD notes to assigned designers. *Provide a central focus for CAD within the project piping group. Interface with client CAD counterparts. *Assist the company CAD department and the project CAD coordinator in the archival of project piping CAD files. *Assist piping lead design supervisor(s) in scheduling, determining work station needs, and forecasting CAD related costs and estimates. Monitors station utilization and forecasts deviations from workstation plan.